Scientists have confirmed the long-lived nature of volcanoes on Mars, finding meteoric evidence that a Martian volcano or volcanic system was active for over 2 billion years. 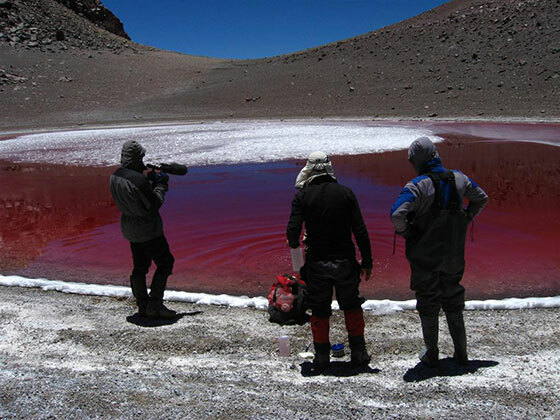 From October through November 2016, Nathalie Cabrol, director of the Carl Sagan Center at the SETI Institute, with members of the NASA Astrobiology Institute team based at SETI, went on a month-long expedition to Chile, visiting Mars-analogue sites between 8,000 and 20,000 km above sea level to collect samples and test in situ instruments in preparation for the Mars 2020 and ExoMars science payloads. Photos and posts from the field sites written by Nathalie Cabrol are available at the SETI institute website, and are linked to below. UC Riverside Science Lecture Series: Are We Alone? The University of California, Riverside has a lecture series entitled Are We Alone?, discussing the search for life in the universe—from analyzing our cosmic origins and early Earth analogues, to exploring Mars, icy moons, and other Earth-like planets. Presenters include members of the NASA Astrobiology Institute (NAI) Alternative Earths team. Release of the NASA Astrobiology Institute CAN 8 has been delayed to February 2017. Stay tuned! The NASA Science Mission Directorate Planetary Science Division intends to release a Cooperative Agreement Notice (CAN) soliciting team-based proposals for membership in the NASA Astrobiology Institute (NAI) in February 2017. Step-1 proposals will be due ~8 weeks after the final CAN release, and Step-2 proposals will be due ~18 weeks after the CAN release. A preproposal conference will be scheduled ~2 weeks after the CAN release. Questions and comments related to this announcement should be addressed to Mary Voytek, NASA Astrobiology Institute Program Scientist, at mary.voytek-1@nasa.gov. 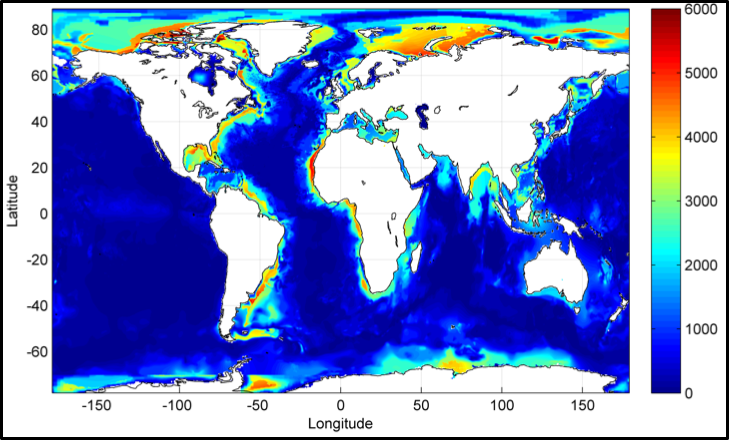 Our Earth is about 70% covered in ocean, and the seafloor is a blanket of unconsolidated sediment made up of a wide range of organic matter, minerals, and chemistries. The habitable portions of ocean sediment provide living space for an estimated 3×1029 microbial cells. Scientists with the NASA Astrobiology Institute (NAI) Life Underground team based at the University of Southern California have used data on global sediment thickness, ocean depth, heat flow, and bottom water temperatures to developed a model to calculate the three-dimensional distribution of temperature in sediments. In the summer of 2016, Penny Boston, Director of the NASA Astrobiology Institute (NAI), presented the seminar, Subsurface Astrobiology: Cave Habitat on Earth, Mars, and Beyond at NASA Ames Research Center in Mountain View, CA. She talked about her past work exploring and studying caves around the world, where the extreme subsurface conditions and the discovered microbial life forms held possible clues for future Mars exploration and the search for life in our solar system. Luis Campos is the 2016-2017 Baruch S. Blumberg NASA/Library of Congress Chair in Astrobiology. Luis Campos, science historian and the current Baruch S. Blumberg NASA/Library of Congress Chair in Astrobiology, was interviewed by Dan Turello at the Kluge Center, where Campos will spend his one year residency as Chair. The conversation is available at the Library of Congress blog. Campos talked about how his interests and academic path led up to the position of Astrobiology Chair, giving details about his childhood inspirations and college and graduate work that incorporated both science and the humanities. 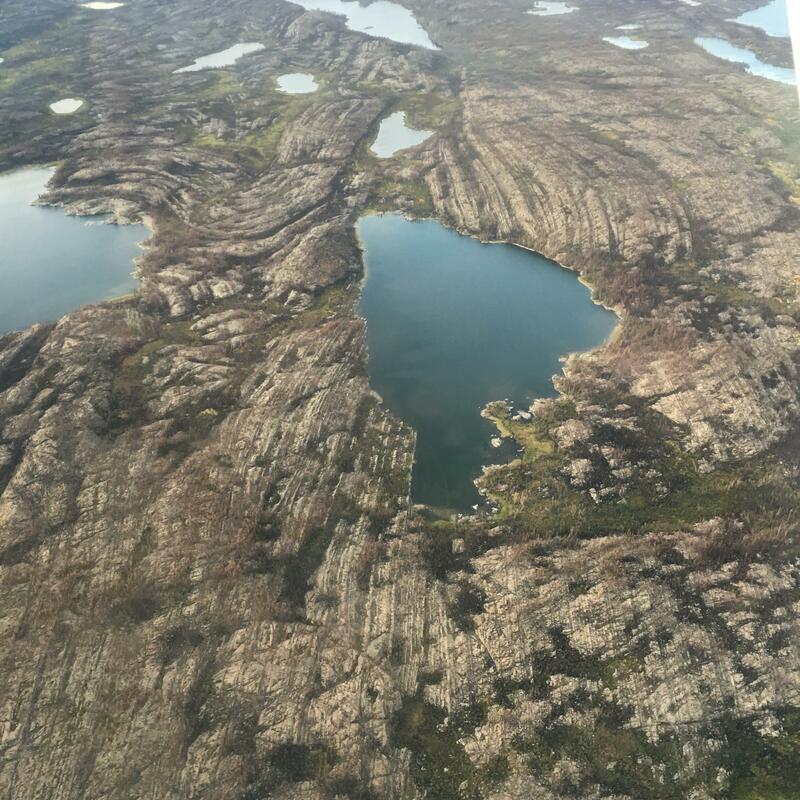 Compelling terrestrial evidence records active and ancient serpentinization, the process that occurs when ultramafic rocks come into contact with water. This process may have been active on the surface and subsurface of Mars, beneath the surface of icy satellites such as Enceladus and Europa, and beyond. On Earth, these geochemical interactions support distinct microbial ecosystems. The purpose of this workshop is to highlight recent advances in understanding how Serpentinizing Systems function chemically and biologically within our Solar System. Abstracts and Student Travel Grant Applications are due January 18, 2017. Opportunities are also available to be a mentor at AbSciCon 2017. Deadlines for the Astrobiology Science Conference (AbSciCon) 2017 are coming soon! Don’t miss your chance to participate in the conference in Mesa, Arizona on April 24–28, 2017. Abstracts are due January 18, 2017. Instructions for submitting an abstract can be found at: http://www.hou.usra.edu/meetings/abscicon2017/program-abstracts/abstracts/. When filling out the submission form, students can additionally register for the poster competition. Further details about submitting a poster can be found at: http://www.hou.usra.edu/meetings/abscicon2017/program-abstracts/posters/. The 5th ELSI International Symposium, Expanding Views on the Emergence of the Biosphere, takes place January 11-13, 2017 in Tokyo, Japan. Talks will be webcast via SAGANet.org. The Earth-Life Science Institute (ELSI) presents its 5th International Symposium: Expanding Views on the Emergence of the Biosphere. An image of Saturn's moon Titan, which is surrounded by a thick haze. Scientists speculate that a similar haze surrounding early Earth may have helped to make it habitable. Source: NASA. Before it became visible as the Pale Blue Dot, early Earth may have been aglow in orange, and this might have helped to make it habitable. Scientists at the Virtual Planetary Laboratory, the NASA Astrobiology Institute (NAI) team based at the University of Washington, have developed a simulation of Earth during the Archaen era (3.8-2.5 billion years ago), with the atmosphere supporting an organic-rich and orange-colored haze that—shifting from previous haze studies— provided UV and temperature shielding to support the existence of life. Scott Sandford, PI of the NAI Team at the NASA Ames Research Center, joined David Livingston to discuss astrobiology. In August 2016, PI Scott Sandford of The Evolution of Prebiotic Chemical Complexity and the Organic Inventory of Protoplanetary Disks and Primordial Planets, the NASA Astrobiology Institute (NAI) team based at the NASA Ames Research Center, was a guest on the Space Show radio program hosted by David Livingston. 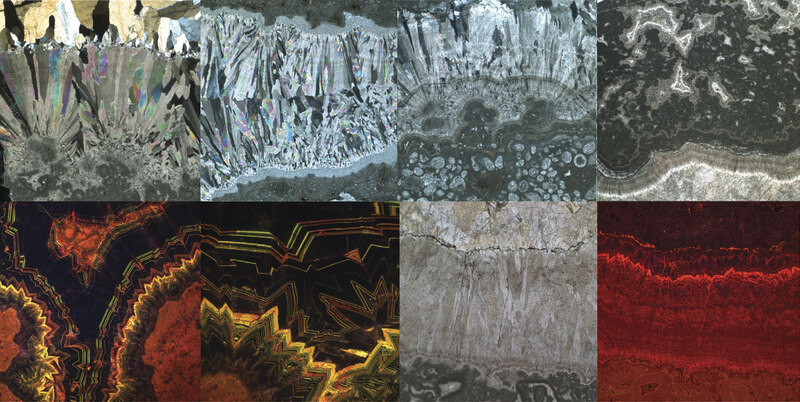 Images of carbonate components in marine cements from the Balcanoona reef in South Australia. Source: A. Hood, et. al., via Geological Society of America. In the effort to understand the history of Earth’s oxygenation, scientists have sought geochemical proxies, but studies don’t always fully consider how samples get preserved within the ancient environment and how that may affect results, especially when it comes to marine carbonates which can be altered during rock transitions and formations. March 1 - Seminar: "Ask an Astrobiologist Featuring Dr. George Cooper"